Economical laminar flow cabinet with clean, simple, low-maintenance design is a work bench with class 100 / ISO5 environment can be used in assembly, testing and inspection procedures that require a continuous flow of ultra clean air. 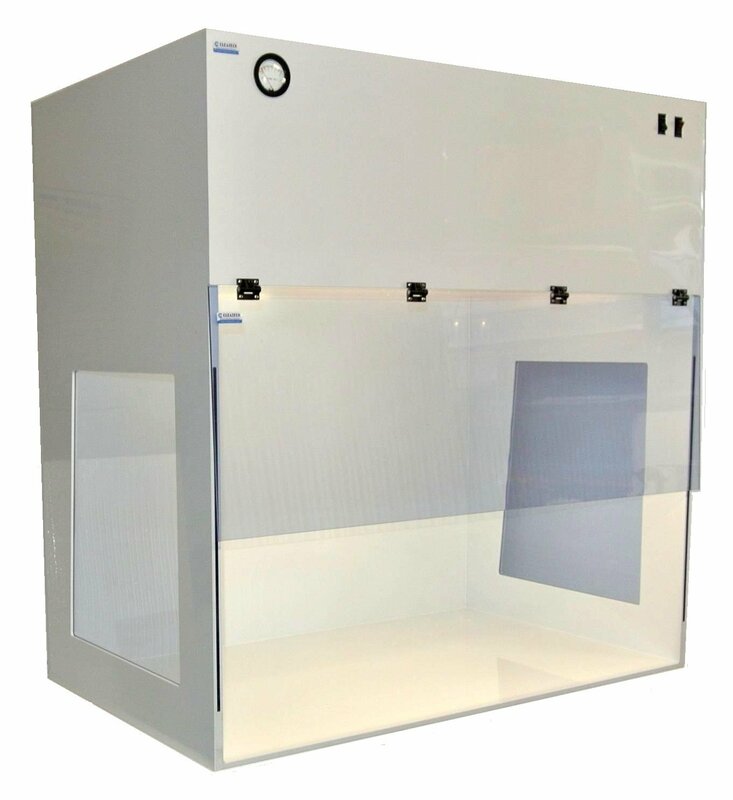 These bench-top polypropylene vertical laminar flow hoods feature 99.99% efficient HEPA or 99.999% efficient ULPA fan / filter modules that remove particulate airborne contamination. Prices above include Fan / Filter Module (120V Fan / HEPA filter 99.99% @ 0.3µm), Polypropylene Worksurface, Clear PVC Side windows and Front Sash. UV Light Must be off while the system is operating. However Clear PVC Side windows and Front Sash shield operator against UV-C light. • Economic laminar flow hoods provide with a Polypropylene worksurface can be positioned on nearly any bench. • Minihelic gauge (0 – 3” Water Column) monitors pressure differential when it exceeds the limit, it indicates the need to replace the HEPA filter(s). 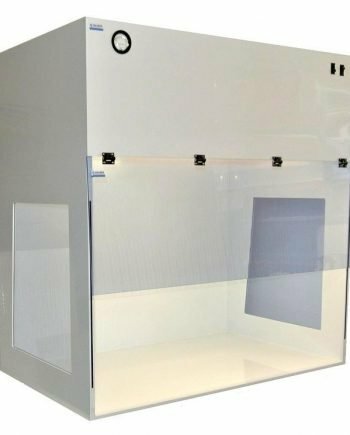 These vertical laminar flow Hoods are ideal for applications which are not hazardous to the operator but require a clean work area.